Born out of their fascination with Japanese culture, Gurun Gurun managed what similar bands usually don’t – to release two albums on a Japanese label (Tokyo’s Home Normal) and tour east Asia. But don’t expect j-pop. 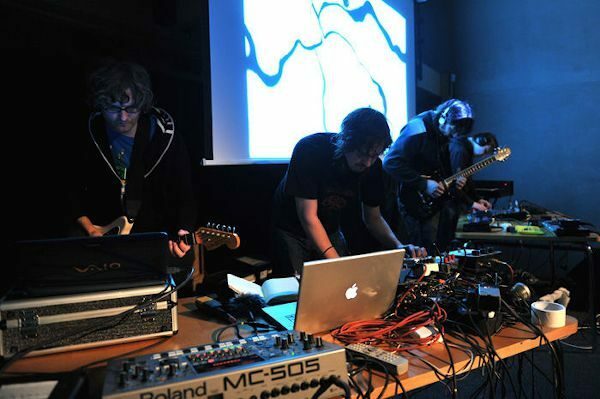 Gurun Gurun use guitars, analogue synthesizers, turntables and acoustic instruments to make strikingly beautiful and at the same time abstract music. With influences from ambient, post-rock, outsider and experimental music, they work in their own territory. Music knows no boundaries, so on their albums Gurun Gurun (2010) and Kon-B (2015) the quartet collaborated with various Japanese singers, which made Gurun Gurun a truly „Japanese“ project. Gurun Gurun is surely a force to be reckoned with in today’s experimental music.